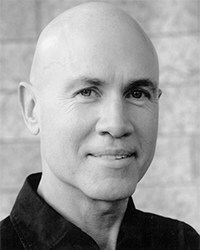 Jeremy Spurgeon has been the director of music at All Saints’ since 1980. He came to the Cathedral from London, England, via the Royal Northern College of Music in Manchester, and the Geneva Conservatoire where he gained the Premier Prix de la Classe de Virtuosité. He has appeared in concert with many Canadian and international ensembles, singers, and instrumentalists. His teachers have been Eileen Sullivan, Eric Pask, Lorna Sergeant, Ronald Frost, Eric Chadwick, Una Bradbury, Dame Gillian Weir, and Lionel Rogg. Jeremy has performed as piano accompanist and organist in Canada, the USA, Britain, Italy, Switzerland, and Poland. Here in Edmonton, Jeremy is resident accompanist for Pro Coro Canada (of which he is a founding member), organist with the Edmonton Symphony Orchestra, accompanist for the Richard Eaton Singers, and freelance musician much asked for throughout the city. In 2010, the Alberta Choral Federation honoured him with the Con Spirito Award in recognition of his enormous contribution to choral music in Alberta. At All Saints’, Jeremy maintains a busy and varied ministry as Director of Music. For all services, he collaborates with the clergy in choosing the hymns and shaping the liturgy. At the 9:15am Eucharist on Sundays, he serves as organist, pianist, and leader of song. At the 11:00am Choral Eucharist, he not only plays the organ and directs the choir, but also cares for the pacing and beauty of the service. On Thursdays, he plays for the 12:10pm Eucharist, and conducts choir practice in the evening. He plays at services for Holy Days and numerous special occasions, as they arise. 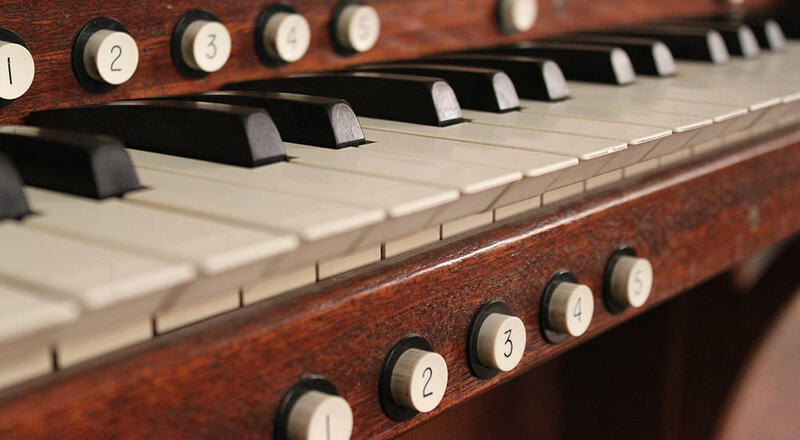 During our fundraising efforts to pay for the refurbishing of our Casavant organ, Jeremy offered three very full and exhilarating organ recitals. As a well-known musician, he frequently arranges concerts and recitals at the Cathedral. For Jeremy, music is central to the worship of God. He has described the purpose of his ministry here as “people coming to know God more and more through music.” He has dedicated his life and talents to this work at All Saints’. Choral music has always been central to the liturgy at Anglican cathedrals. The Cathedral Choir at All Saints’ continues in that tradition, singing some of the greatest church music written across five centuries at the Choral Eucharist every week, Evensong every first Sunday of the month, ordinations as they arise, and special services on High and Holy days throughout the year. Among the most loved choral services at All Saints’ are the Lessons and Carols for Advent and the midnight mass on Christmas Eve, when the choir is joined by a brass quintet. Holy Week—that is, Palm Sunday to Easter Day—is especially busy for the choir. We sing services for Tenebrae, Maundy Thursday, Good Friday, Holy Saturday (the Great Vigil), Easter Sunday morning (again joined by the brass quintet), and, finally, Evensong on Easter Sunday night. Through our music we help to create an act of worship—a drama through which all participants offer prayer and celebration as a gift of beauty to God. We are always looking for capable and committed singers. Singers need a good voice, a good ear, and the ability to sight-read or to learn music very quickly. Because our choir tends to be small, and because music is integral to the services we sing, commitment from every singer is essential. Ours is a busy and challenging choir. If that is what you are looking for, we may be the choir for you. If you have monastic leanings and long to express them through consistent sung ritual, we may be the choir for you. We sing twice a week (rehearsal and Choral Eucharist), sometimes more, without ever worrying about fund-raising. We sing some of the most beautiful music ever written, including polyphonic masses and motets of the Renaissance (e.g., Palestrina, Victoria, Tallis, Byrd) in a wonderful acoustic space. We work under the gifted musicianship of Jeremy Spurgeon and with other excellent musicians (including, at times, professional guests). our musical skills—especially tuning and sight-reading—will improve rapidly. Do you break for the summer? We break for four to six weeks, usually during July-August. Must I be a member of the Anglican church to sing in the choir? No. We welcome everyone who cares passionately about music and is willing to commit to the discipline of singing in a cathedral choir. In your email, please write a line or two about your musical experience—and be sure to include your phone number. More informally, if you already attend All Saints’, you can catch Jeremy or a choir member in the Cathedral Common after the service. We look forward to singing with you!